We do apologise that we are not the most regular bloggers and we do promise we are trying to become more regular! Pinky swear even. We do have many ideas and posts to share with you so we promise to make some changes starting today. This post though, is a little update post! 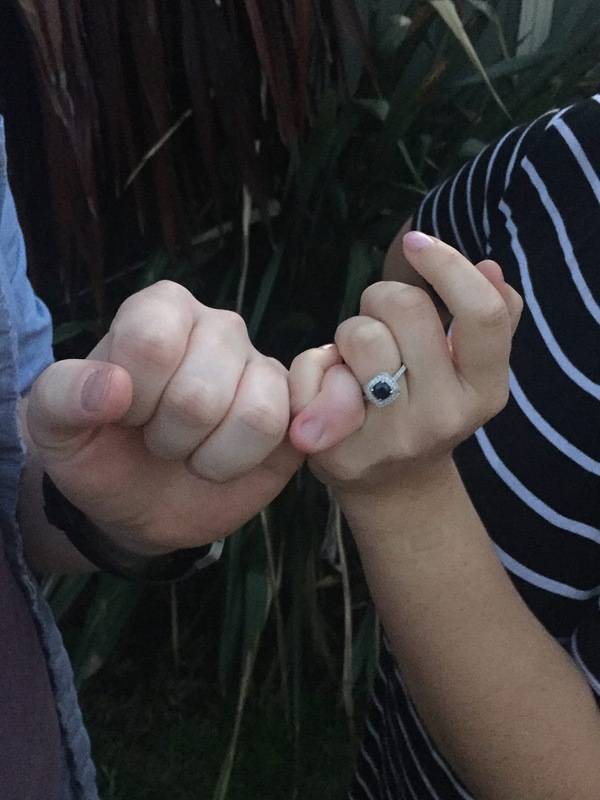 On the 6th of August I got engaged to my boyfriend of 5 years and I am so excited to share this experience with you all! There should be wedding type posts here at Bright Somethings when I begin to plan my wedding. So to the story of the engagement I must admit I was kinda expecting it to happen on our anniversary. Although it didn't happen until we were on our way to find a taxi to go home, so by that point I had accepted that I wasn't going to get engaged that night and was feeling a little sad. Kale had purchased me a rose on the street and asked me if I liked the present then told me that he had one more present. I of course stopped walking and instantly started crying. He got down on one knee and asked me with my full name to marry him. Being me I kissed him and took the box with the ring without accepting the proposal. There was a bar behind us where we were standing so we could hear cheering and nawwws which made the moment even more special. Eventually after I had the ring on my finger we realised that I never actually answered but actions clearly speak louder than words in this kind of situation. So that is the story of how I got engaged.